For print output, the image resolution needs to be higher than for viewing a PDF on a screen. Otherwise you will see jagged edges and artifacts in the image. PitStop Pro detects low resolution images in PDF files and gives you a warning. Unintended RGB images in PDF files can cause unexpected results after processing. The images can be of low quality, the final printed color can be incorrect and there may even be a color shift. PitStop Pro checks PDF files for RGB objects and automatically converts them to CMYK if you want it to. If a file that contains images or content that extend to the edge of the page, and it contains no or not enough bleed, white borders can appear after cutting the sheets. PitStop Pro checks PDF files for missing bleed. PitStop Pro can also automatically add bleed to a PDF file. When a font is not embedded, the output equipment will need to replace that font with another font that could look completely different. Small text can become hard to read when printed, especially when it's printed in multiple colors. PitStop Pro checks PDF files for missing fonts and automatically embeds font from the cloud using the Monotype Baseline service. PitStop Pro checks PDF files for too small text objects and gives you a warning. Ever seen a job where a white element looks great on the screen or paper proof, but suddenly disappears when on press? White elements could be set to "overprint", which means that the white ink will be output on top of the inks below and basically disappear. 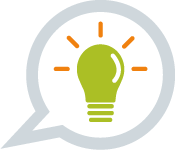 PitStop Pro checks if white elements are set to overprint and can automatically set them to "knock-out" if wanted. Excess ink coverage causes marking from one sheet to another and long drying times, and it increases the risk of spoilage. Wet paper can lead to registration issues and can cause you to have to slow the performance of a press to ensure the final printed quality. PitStop Pro can automatically reduce ink coverage if it's too high. Although transparency is now a widely accepted functionality within most design and page layout applications, many printing companies are still wary of PDF files containing transparency and like to give them specific attention to ensure they are processed and imaged correctly. PitStop Pro checks PDF files for transparency. Layers can be visible or hidden. If your proofer or your RIP doesn't support PDF v1.5 or higher and there are layers in the PDF, they will be placed on top of each other. If a file contains a hidden layer that is set to "Always print", it will be printed. PitStop Pro checks PDF files for hidden layers. Most designers like to work with spot colors (e.g. Pantone), especially in logos. But in many cases, these logos need to be printed using only CMYK ink, because an extra "dedicated" ink for the spot color is too expensive. 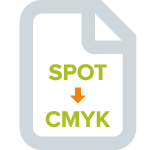 PitStop Pro checks PDF files for spot colors and automatically converts them to CMYK if you want it to. How do you define a nice deep ("rich") black, one that won't cause trouble on a printing press? Every company has their own recipe for a nice black. But a black that carries too much ink can be a problem for some printing methods. A black that's too heavy can cause web breaks on a web press and marking or set-off. PitStop Pro can reduce or standardize the Rich Black values to your own values. Why do we call it PDF Preflight? When an airplane is about to take off, the pilot runs a "pre-flight" checklist to test if everything is working. If not, the plane could crash and the plane won't leave the tarmac to avoid a potential catastrophy. Millions of printers worldwide do exactly the same thing with PDF files. Before a PDF file goes into production, it is checked for all sorts of errors which could cause bad results in print. If errors are found, the PDF file is sent back to the creator to fix. If not, the PDF file could cause errors in print, causing missed deadlines or even costly reprints.